The Garda Síochána Ombudsman Commission (GSOC), established in May 2007, has today issued its first report carried out under s.102(4) of the Garda Síochána Act 2005. 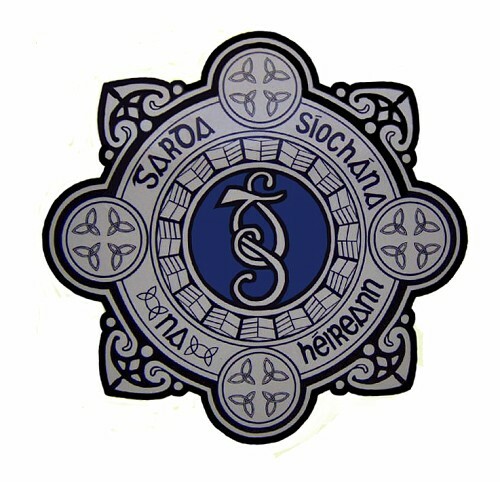 This provision allows for GSOC to initiate an investigation, without receiving a specific complaint, if it appears that a member of An Garda Síochána may have committed an offence or behaved in a manner that would justify disciplinary proceedings, and such an investigation seems “desirable in the public interest”. This first report is based on an investigation into the death of Mr. Terence Wheelock on September 16, 2005, following a period of detention at Store Street garda station (Report: Press Release). Terence Wheelock was arrested on June 2, 2005 and was found, later that same day, unconscious in a cell at Store Street garda station. He never regained consciousness and died at the Mater Hospital on September 16, 2005. The GSOC investigation, which began in July 2007, set out to establish whether or not any act or omission of any member of An Garda Síochána caused the death of or serious harm to Terence Wheelock. Prior to the GSOC investigation, an internal Garda inquiry into the matter was carried out and an inquest found (with a jury verdict of 4:3) that Mr. Wheelock had died as a result of suicide by hanging. There is no credible evidence that Terence Wheelock was mistreated in any way during his detention at Store Street Garda Station. Systemic failures and the lack of clear instruction led to the presence of a ligature suspension point in Cell 7 of Store Street Station on June 2, 2005. A lack of clear instruction and process allowed Terence Wheelock to bring a ligature with him into the cell during his detention. The recording of the details of the custody of Terence Wheelock on June 2, 2005 fell below appropriate standards. review the feasibility of providing ligature cutting equipment to each station designated for the custody of prisoners. The Wheelock family have always rejected the suggestion that Terence Wheelock committed suicide. Whatever the specific facts and findings of this report (which will take some time to consider and digest), its publication is most significant in the history of garda accountability and independent oversight of policing in Ireland. The independent initiation of investigations by GSOC is a most important tool within the Garda Síochána Act 2005. Two other “public interest” investigations are currently being carried out by GSOC: one into the death of Mary Seavers, a pensioner killed by an out-of-control garda patrol car in Clonskeagh, Dublin in 2005, and the garda investigation of this event; and the other into allegations of collusion by members of the Garda Síochána with a named individual in the movement and supply of controlled drugs.